EXCLUSIVE Report: William deVry Signs Three-Year Contract! Great news about Will deVry at General Hospital. 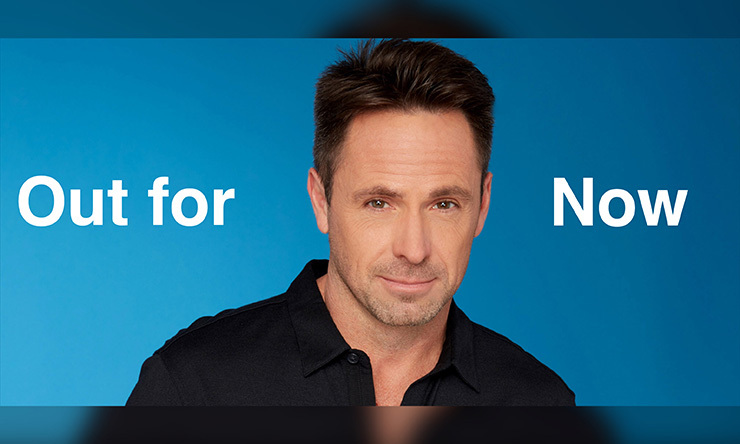 We have good General Hospital news to share with you dear Soap Cities readers–about William deVry! In an exclusive interview, William DeVry revealed he has signed a multi-year contract to stay in Port Charles! The interview was conducted today by our soap colleague Michael Thomas at Soap Opera Intel. “It’s a 3 year contract. Looking forward to it because I think we all believe there is a TON more story to tell. With Alexis, Sonny (future allies? ), Sam, Lucas, Leo, both Olivias, 2 Jasons. Can’t wait!” deVry trilled. Related: William deVry had a rocky road on his way to this contract deal. Must-Read: See what this exiting GH star said about her departure from the soap! Most importantly, we of course want to know what will become of Julexis?! “I think Julian knows that being a couple again with Alexis is almost out of his hands. I think he knows, that ultimately, he needs help. He needs proof, and not just his words; he was squeezed into a no win situation.” In other words, dear readers, Julian’s actions will have to speak LOUDER than his words! Did you know William is a GH fan just like us, dear readers?! He even gives Emmy advice to his fellow co-stars! “I already texted Rebecca Budig (Hayden) and told her that her scenes this past Friday with Michael Easton (Dr. Finn) were GOLD, where she comes clean about what she did with the hospital’s money. While we are glad to have Will back at GH, that did not stop our fan favorite from auditiong for other roles! Any luck? He “got close on almost every audition. But none came through” Nevertheless, he has “two months to book some other work right now,” while he waits to tape GH! Don’t Miss: First look pics of Steve Burton on-set! Well dear readers, we know it is not going to be an easy wait, but aren’t you happy deVry will be sticking around Port Chuck for a long while?! Are you looking forward to Julian and Alexis getting together again?! Previous ArticleThe Young and the Restless Spoilers, Tuesday, August 15th: Are Chelsea and Nick of One Mind? I am thrilled that William renewed his contract, the soap would not be the same without him, I have said so many times that the writers struck gold when they paired him with Nancy! I never thought I would fall in love with a couple like I have with John and Marlena on Days of our lives but to me they are just as amazing a couple as J & M! Every scene Julexis has together you can feel the chemistry it’s off the charts! I can’t wait until they are reunited! I have to say thank you writers for making the right decision William is a wonderful actor and I can’t see Nancy with anyone else!!! I can’t wait for their steamy love scenes that have been missed by so many of us devoted fans!! !